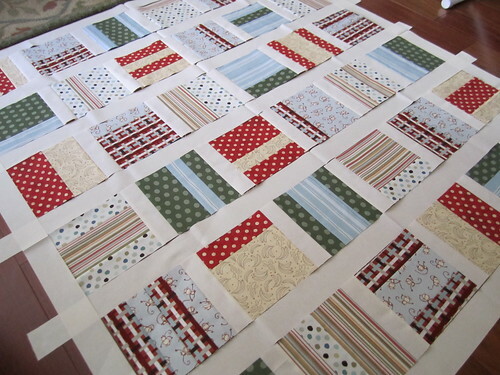 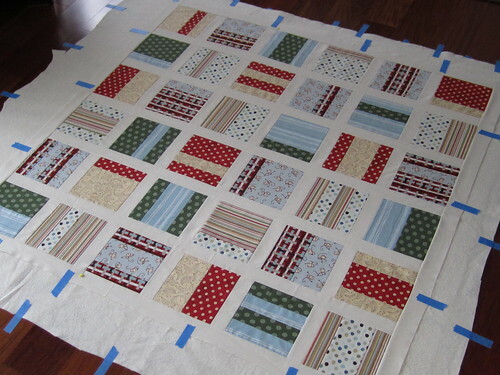 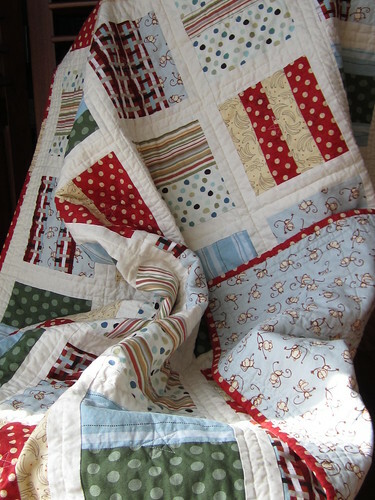 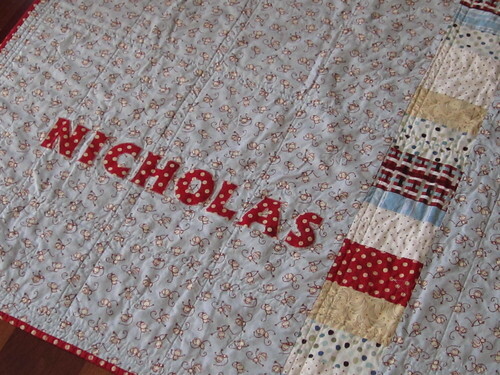 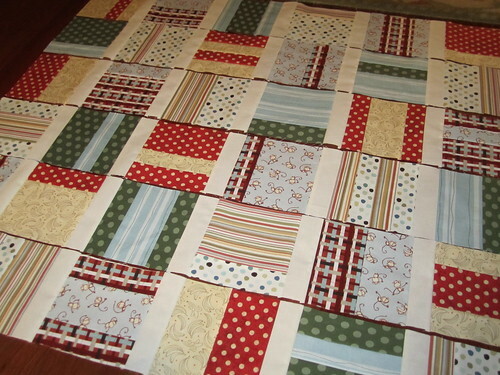 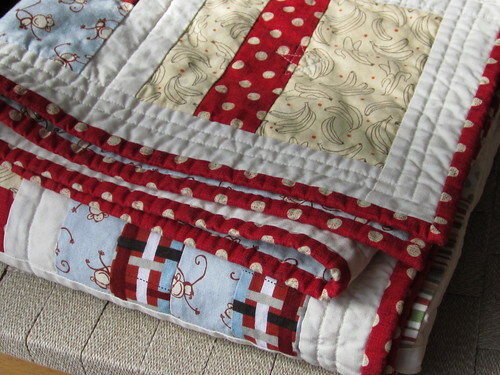 This is the (photo) story of a baby quilt I made for my cousin's little boy Nicholas, who was born February 23, 2011. 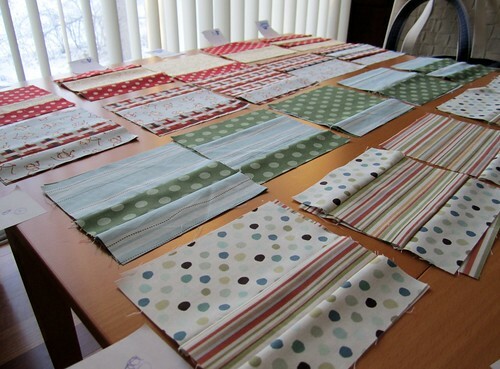 It all started with a fat quarter of the grey-blue monkey fabric (David Walker Monkey Toss from the Boys Will Be Boys collection). 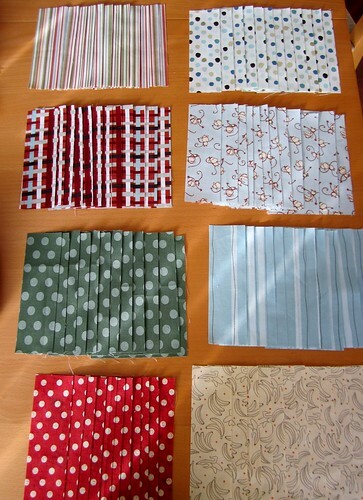 The pattern is Mixtape: Favorite Songs from Oh Fransson!. 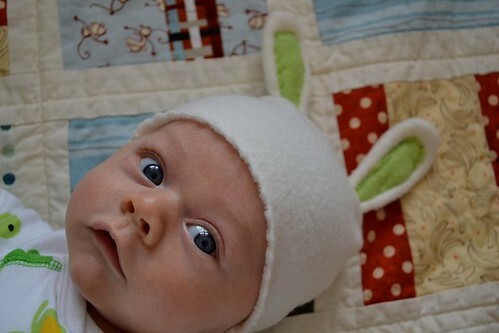 Be sure to scroll to the end...you'll be glad you did.